This Wednesday skygazers and astronomers are in for a wonderful celestial event. This month’s full moon, referred to as the “full worm” supermoon, will also mark the spring equinox. The full worm supermoon is the third and final supermoon of 2019, following the “super snow moon” in February and “super blood moon” eclipse in January. The Northern Hemisphere will finally see the end of the winter season and beginning of spring, while the last supermoon of the year will follow just hours later. The next supermoon won’t occur until 2020. He also pointed out that this will mark the first full moon of spring. According to the Old Farmer’s Almanac, the “full worm moon” name is derived from Native American culture. The name is a reference to the beginning of spring as the ground begins to soften and earthworm manure starts to reappear. “The last time the full moon and the spring equinox coincided this closely (4 hours apart) was in March 2000, but the last time they occurred on the same date was on March 20, 1981,” the Almanac states. Wednesday’s full moon is also a supermoon, as mentioned above. Supermoons occur when the moon’s orbit takes it to its closest possible point to Earth at the time it is at its full brightness. On March 19 it will be at its closest point to Earth, about 223,000 miles away from us. Supermoons are dubbed as such because the moon appears slightly larger than usual, but not enough for us to easily notice it with the naked eye. In addition to appearing larger from Earth, it will also shine brighter than most full moons, which is why the “supermoon” name exists, according to NASA. The name “supermoon” originates from 1979. The full worm supermoon won’t be the closest supermoon of the year. 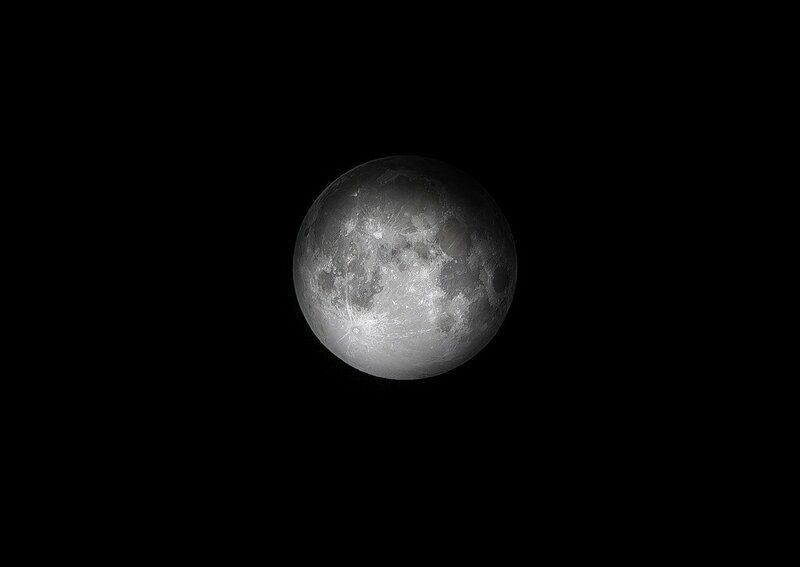 NASA reports that the moon was closer to Earth on Jan. 21 and Feb. 19. The two supermoons were located about 222,000 and 221,700 miles away from Earth, respectively.